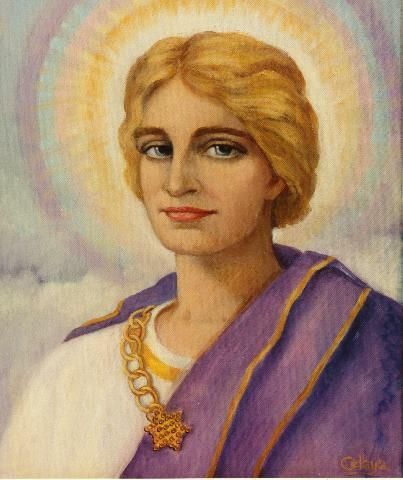 ST.GERMAIN and HILARION – CALL TO ACTION! As you pray and invocate, see the Earth bathed in Violet Light, the violet Light of transmutation. Hold this image for as long as you are able, each time that you do this. The Legions of Light that work with me have already permeated the atmosphere of the Earth with this energy and it will help tremendously if each of you can anchor it into the crystalline core of the Earth during your visualizations, in order that the Violet Light begin to work from the inside of the Earth to radiate this Light in ever growing concentric circles until it reaches the surface of your planet and permeates the atmosphere. I, St. Germain, will be sending Violet Light and enveloping the entire planet at the top of the hours in your time zone of 6:00 a.m., 9:00 a.m., 12:00 Noon, 3:00 p.m., 6:00 p.m., 9:00 p.m., and 12:00 a.m. each day for the next three weeks. Let it be one or more of those times that you choose to join with me and the Legions of Light who are in service to this cause. The Ascended Master realms have joined with me in this effort and so we have the entire team of Heaven working to transmute the chaos that has shown its face on your world. Please join with us as the ground workers on Earth standing for the Earth and all her inhabitants. Together, we shall eliminate the energies that keep the Earth and humanity from moving into their rightful place in the Universe. At the end of your focus at whatever time you join with us, call upon the Light, love and energy of the Divine Mother to come into the hearts of every person upon the planet and ignite the divine spark within them. I AM grateful for your attention in this matter. Thank you! Have faith in the Divine and know that this powerful force of love is closer to you than you think, to commune with you during these momentous times. Open your hearts and minds to the possibilities this silent communion can bring to you. You have all the answers you need within you and these usually come when least expected. Expect the unexpected and be open to adapting to the changes that can occur. Seize the moment as it materializes for you. Those who have achieved equilibrium within will find greater peace, joy and happiness in every endeavour. Being in these energies is sometimes just what is needed for rejuvenation and regeneration of the mind, body and spirit. For others, it is taking time away to commune with nature and partake of the beauty offered. Listen to your heart in all things and you will always be in alignment with your highest and greatest good. Align with your Divine Essence each morning and at any time you observe that you have strayed from its harmonious influence. This will be a constant requirement to keep you firmly on your path. As stated many times before, the use of decrees and/or meditation helps to obtain and maintain a higher frequency level and this is highly beneficial for the maintenance of vibrant health, well being and a positive outlook on life in the physical. The human mind needs constant reinforcement of positive affirmations, statements and thoughts to counteract the bombardment of chaotic energies which can quickly sway you from your desired outcome. The greatest gift you can give yourselves at this time is to pour love to your own being, for as you give love, compassion and understanding to self, it becomes easier to extend these qualities to others around you. Despite appearances to the contrary, the goodness of the Divine within people abounds everywhere. Employ discernment and your intuitive abilities in alignment with your heart and all will continue to be well. We are always with you and our love surrounds you at all times. First thing this morning, I was guided to this message from Metatron regarding how to perceive and balance international conflict. My heart welled up with Love for it is exactly the message I have been receiving over and over from my Higher Self during meditation. Thank you Metatron for this loving, powerful message and suggestions on how to raise our vibrations so we can do our individual part for the good of the whole. We are here to transform the old paradigm and usher in our new galactic reality. So be it. Everything is unfolding according to Divine Plan. All existing wars are balancing out karma between nations. But the individuals in these nations must also refuse to allow their countries to continue with war. Peace always begins within the Self. Peace will spread as each individual becomes peaceful even in the face of great violence. Ask the Light Beings to send forth their love and light anywhere you wish. Use the image of the Vesica Pisces to unite the three suns – your own Sun Presence with the Great Central Sun and the Sun in the heart of the earth. You are the center of your universe. Our Changing Perceptions are Transforming Reality ~~ now ready for downloading . . .
diesen Sonntag geht unsere Gemeinschaft für die größte Klima-Mobilisierung aller Zeiten auf die Straße. Wieso? Weil unsere Regierungen einen Tag später zusammentreffen und sich endlich darauf einigen könnte, die Welt von dem Kollisionskurs mit einer Klimakatastrophe abzubringen. Große Demonstrationen haben immer wieder den Lauf der Geschichte verändert: Martin Luther Kings Marsch auf Washington hat den Weg für ein Ende der Rassentrennung bereitet. Gandhis Salzmarsch hat Großbritannien gezeigt, dass die Kolonialzeit der Vergangenheit angehört. 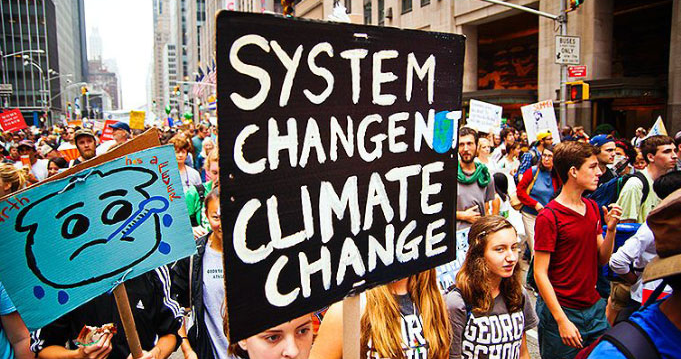 Nun könnte der Global Climate March zur Mobilisierung unserer Zeit werden, die die Zukunft unseres Planeten sichert. Dieses Wochenende werden Hunderttausende von uns mit einer Stimme sprechen – in einem gigantischen, koordinierten Aufruf für unseren Planeten. Dies ist unsere Chance, unsere Zukunft zu sichern und zu zeigen, dass die Stimmen der Menschen stärker sind als schmutzige Politik, die uns zum Verhängnis werden könnte. Wenn uns das gelingt – und das muss es – dann sind wir der Welt, die wir uns alle wünschen, einen riesigen Schritt näher gekommen. Bis Sonntag auf den Straßen Berlins! 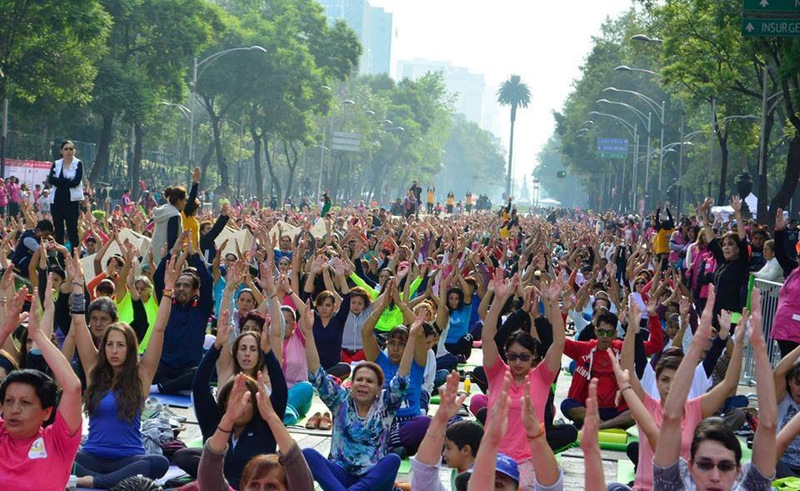 Picture it: Our brothers and sisters atNaam Yoga are bringing together 30,000 people in the heart of Mexico City, with the shared intention of elevating the consciousness of our world and healing of our planet. And it doesn’t end there- 70,000 more people, from all corners of the globe, are expected to join online.And we want you to join in, too.Imagine what is possible when 100,000 people, from all around the world, join together with single focus of love, light, and healing our world. Day in and day out, we see the pain and suffering of our sisters and brothers all around the world. Our hearts are broken. Our communities are fractured. In so many ways, we are in a crisis of disconnection. But it need not be that way. Jacob Devaney, of Uplift Connect, speaks to how this potent moment in history is helping to decide our future collectively. Read more about the crossroads human is facing, by clicking here. On November 29th, 100,000 people will be coming together to focus on creating love, peace and light in our world. The energetic impact of such a global gathering will send out waves of peace and love, helping to raise the vibration and speed up the healing of our planet. Join us, and see the reach of our global gathering. Our UNIFY Map allows organizers and meditators from around the world to share their event, and with each event posted, we see our interconnectedness grow. It is easy to organize a Love Peace Light to All event. You can join the livestream on your own, or bring your friends and family together for a viewing party. Sign up here!The pain of Paris, Beirut, Syria, Kenya and so many other tragedies can be overwhelming. And, it can also be an opportunity, a wake up call, that we must be the change we want to see in the world. Will you be with us, on November 29th? We need you, and the world needs you, there.No matter where you are, you can participate.Sign up here.Join us for this healing celebration of life. Kopp Online – Wer finanziert den IS? Auf dem G-20-Gipfel in Antalya am 15. und 16. November ließ der russische Präsident Wladimir Putin eine Bombe platzen. Seltsamerweise hörte man über die brisanten Informationen wenig bis gar nichts in den westlichen Medien. Zum Beweis seiner Worte legte Putin den Versammelten Satelliten- und Luftbilder vor, die das Ausmaß des IS-Ölhandels zeigen. »Ich habe die Satellitenbilder, die das wahre Ausmaß des illegalen Handels mit Öl und Erdölprodukten demonstrieren, unseren Kollegen gezeigt. Transportkonvois ziehen sich über Dutzenden Kilometer und erstrecken sich bis zum Horizont, wenn man sie aus einer Höhe von 5000 Metern anschaut«, sagte der russische Präsident anschließend auf einer Pressekonferenz. Der russische Generalstab ließ zu den Filmaufnahmen verlauten, man habe ca. 500 Öltanklastwagen zerstört, die illegal Öl von Syrien zur Weiterverarbeitung in den Irak transportieren.»In den vergangenen Jahren haben der Islamische Staat und andere Extremistengruppen auf den Territorien, die sie kontrollieren, Operationen einer sogennannten ›Pipeline auf Rädern‹ organisiert«, so der Sprecher des russischen Generalstabs Andrej Kartapolow. Auf diesem Wege seien Hunderttausende von Tonnen Rohöl zur Weiterverarbeitung in den Irak geliefert worden. Die Einkünfte aus diesen illegalen Exporten sei eine der Haupteinnahmequellen der Terroristen. Gleichzeitig kündigte der Chef der operativen Verwaltung des Generalstabs der russischen Streitkräfte, Generaloberst Andrej Kartapolow, nach Eintreffen des französischen Flugzeugträgers gemeinsame Aktionen mit der französischen Luftwaffe an – ein ungemein genialer und kaum zu kritisierender Coup der Russen, die NATO bloßzustellen, die in der IS-Bekämpfung auf verdächtige Art versagte. Denn Putin tat nichts anderes als die »Bemühungen« der US-geführten Koalition, den IS zu bekämpfen, als völlige Show zu entlarven. Denn Kolonnen von öltransportierenden Lastwagen zu identifizieren, dürfte wohl kaum das Problem gewesen sein. Aber was dann? Allein diese Demonstration von Bildbeweisen zeigte schon, dass die westlichen IS-Bekämpfer bisher eher ein Bühnenstück aufführten, als ernsthaft eine Terrorbande zu behindern. Ab jetzt wird es spannend: Denn um welche 40 Länder geht es wohl, darunter auch G20-Länder, aus denen der IS-Terror finanziell unterstützt wird? »Am Montag griffen US-A-15- und AC-130-Bomber eine Flotte von Trucks an, welche der Islamische Staat nutzte, um Öl aus Syrien herauszuschmuggeln, eine große Einkommensquelle der militanten Gruppe. Nach anfänglichen Einschätzungen zerstörte die US-Luftwaffe 116 der 295 Lastwagen bei einer Anlage in der Nähe von Deir-Ezzor. Bitte halten Sie an dieser Stelle einen Moment inne, um einige Tränen der Rührung zu vergießen. Danke! Zu schade, dass diese besondere Form der Sensibilität gegenüber Zivilisten, wie freundliche Flugblattabwürfe, weder bei den Hunderttausenden von rein zivilen Opfern während des Irakkrieges und der Zeit der US-Besatzung noch bei den unzähligen zivilen Opfern von Drohnen-Exekutionen zur Anwendung kam bzw. kommt. Der neokonservative Free Beacon brachte diese Meldung jedoch nur, um Obama als Weichei darzustellen, nicht um die merkwürdige IS-Strategie der USA an sich zu hinterfragen. In Russland wundert man sich derweil, dass im US-Fernsehen bei PBS report jetzt schon militärische Erfolge der Amerikaner mit russischem Bildmaterial »bewiesen« werden. Dies mag man unter »Peinlichkeiten« rubrizieren. Von einer anderen Kategorie ist jedoch, was Untersuchungen innerhalb des Pentagon über die geheimdienstliche Darstellung des Vormarsches des IS im letzten Jahr angeht: Die New York Times schrieb am 21.11.2015, dass Analysten des US Central Command Berichte für den Militärgeheimdienst und die Politik verfassten, welche die Niederlage der irakischen Armee gegenüber dem IS dokumentierten. Der letztgültige Bericht wurde jedoch von den Geheimdienstoberen dahingehend umgeschrieben, dass die irakische Armee sich nur neu gruppierte, jedoch nicht vernichtend geschlagen worden war. CENTCOM-Analysten sagen, dass Geheimdienstvorgesetzte »besonders begierig waren, ein optimistischeres Bild von Amerikas Rolle im Konflikt zu zeichnen«. Es sollte offenbar das amerikanische Versagen bei der Ausbildung irakischer Truppen und das Versagen der irakischen Armee beim Zurückschlagen des IS »maskiert werden«. Die Diskussion in der NYT hat einen bestimmten Tenor, der das Problem jedoch aller Wahrscheinlichkeit nach bewusst nicht tief genug auslotet. Es geht salopp gesagt nur um Pleiten, Pech und Pannen, die »geschönt« werden sollten. Nach der Einnahme des Gebietes war der vorher leichtbewaffnete IS dann schwerbewaffnet, denn die Fanatiker hatten natürliche alle Waffen- und Ausrüstungslager der irakischen Armee geplündert. Sofort nach den Eroberungen startete der IS Waffentransporte Richtung Syrien. »Ich kenne die Gründe, warum die Armee zusamenbrach. Aber es ist jetzt nicht die Zeit, die Schuld irgendjemandem zu geben, der der Armee befahl, sich zurückzuziehen. Sogar wenn es eine List ist, müssen die verantwortlichen Generäle zur Rechenschaft gezogen werden. Eine Verschwörung hat dazu geführt, dass Mosul vom IS besetzt wurde. Wer immer verantwortlich ist, wird nicht davonkommen, mit dem, was er getan hat«, so der am 14. August 2014 auf Druck der USA zurückgetretene irakische Ministerpräsident Nuri al-Maliki. Im Juni 2014 begaben sich eine halbe Million Menschen vor dem IS auf die Flucht. Viele davon versuchen heute Europa zu erreichen. Nach der Besetzung der wichtigsten kurdisch-irakische Erdölgebiete im Juni 2014 weitete der IS sein Engagement unaufhaltsam auf die syrischen ölreichen Gebiete aus und vermeldete bereits Anfang Juli die Eroberung bzw. Übernahme des größten syrischen Ölfeldes al-Omar in der ostsyrischen Provinz Deir-Ezzor von der Al-Nusra-Front. Wer hatte eigentlich mit der Förderung des illegalen Ölexports aus Syrien begonnen? War das nicht die EU höchstselbst? Diese hatte bekanntlich im Januar 2012 verkrüppelnde Wirtschaftssanktionen gegen das Land des »bösen Diktators« verhängt, die bis heute in Kraft sind, obwohl nunmehr 75 Prozent der Bevölkerung Syriens unter der Armutsgrenze lebt. Damit hatte die EU aktiv zur Destabilisierung, ja Aushungerung, des Landes beigetragen und eine Ursache für die aktuellen Flüchtlingsströme mit gesetzt. Die Sanktionen der EU wurden am 12.10.2015 sogar erneut bekräftigt! Der Beschluss des EU-Rates 2015/1836 ist ein Dokument des Kleingeistes und der Rachsucht: Die EU möchte die einflussreichen Familien Assad und Maklouf sowie die syrische Armee schädigen und ruiniert dabei ungerührt ein ganzes Land. In Wirklichkeit wäre längst Realpolitik angezeigt, anstatt krampfhaft an der falschen Politik des »Assad must go« festzuhalten. Im April 2013 hatte sich die EU aber dazu entschlossen, den Boykott von Ölexporten aus von Rebellen kontrollierten Gebieten aufzuheben, um die Unterstützung für Rebellen, die Präsident Assad stürzen wollten, anzufeuern. Außerdem erlaubte die EU Investitionen in die Ölindustrie Syriens, unter der Bedingung, dass das Gebiet von Rebellen gehalten wurde. Zu diesem Zeitpunkt war aber bereits bestätigt, das al-Qaida die Hauptölregion bei Deir-Ezzor besetzt hatte. Das einzige Problem: Das EU-Handeln war völkerrechtswidrig und die sogenannte »moderate Opposition« ein Wahngebilde des Westens, ein Narrativ, welches er seiner gutgläubigen Öffentlichkeit verkaufte. Auch die FSA (Free Syrian Army) brüllte in der Zeit ihres kurzen Bestehens vor all ihren Ankündigungen immer »Allahu Akbar« in die Kamera. Längst hat sich der Mythos von den »Gemäßigten« in Luft ausgelöst. Um sie ist es ‒ sogar in den Medien ‒ still geworden. Danny the Syrian ‒ hat es ihn je gegeben? Und Selim Idriss, der nach Katar geflohene Stabschef der FSA, welche Armee befehligt er noch? – übrig geblieben sind die Nicht-Gemäßigten. Aber auch als dies immer deutlicher wurde, hat die EU ihre Sondergenehmigung für illegal exportiertes Öl nicht zurückgenommen! Ab Minute 3 spricht Jana Hybášková vom Islamischen Staat und der Flotte von 5000 Öltanklastwagen, die den illegalen Ölhandel umsetzt. Sie fordert von der EU dringendst Sanktionen gegen diesen Export – ergebnislos wie wir wissen. Auf das Ergebnis der »Prüfung« der EU-Kommission warten wir noch heute. Das illegal unter Preis generierte syrische Öl entwickelte sich zum ganz großen, lukrativen Exportschlager für die Türkei: Ein Beispiel der Straflosigkeit von illegalem Ölexport über die Türkei in die Vereinigten Staaten wurde im August 2014 bekannt: »Die Saga von 1.032.212 Barrel Rohöl geht weiter«, schreibt Steptoe & Johnson PLLC, eine im Irak tätige »energy fim« am 6.8.2014. Der Bericht beschreibt weiter, wie das Öl über eine neu installierte Pipeline, die durch die Kurdenregion geht, direkt in die Türkei floss und dann in Ceyhan auf einen Tanker verladen wurde, der unter der Flagge der Marshall Islands fuhr. Am 28. Juli versuchte das Ölministerium in Bagdad über US-Anwälte das illegal gewonnene Öl beschagnahmen zu lassen. Einen Tag später unterzeichneten US-Bundesrichter eine entsprechende Order, doch am nächsten Tag schon annullierten sie ihr eigenes Urteil wieder und argumentierten, der Tanker befinde sich noch in internationalen Gewässern, wo die US-Bundesgerichte leider keinen Einfluss hätten. Es ist anzunehmen, dass bis heute illegal gewonnenes syrisches und irakisches Öl nach Ceyhan gepumpt und dort mit riesigen Gewinnen in alle Welt verschifft wird. Der IS scheint jedoch in letzter Zeit durch die kurdische Peschmerga im ölreichen Gebiet um Mossul zurückgedrängt worden zu sein. Die Kooperation der Türkei mit dem IS geht aber noch tiefer, sie hat gewissermaßen einen familiären »Anstrich«. Dazu muss man wissen, dass Präsident Erdoğans Sohn Bilal im Reedereigeschäft unterwegs ist. Er ist einer der drei Besitzer einer maritimen Transportfirma namens BMZ Group Denizcilik ve İnşaat Sanayi Anonim Şirketi. Er soll aber noch weitere Firmen besitzen. Diese verfügen über Kais in den Häfen von Ceyhan und Beirut und schmuggeln von dort Rohöl in Tankern auch nach Japan. Bilal Erdoğan ist international gut vernetzt; er wurde in den USA ausgebildet. Er machte seinen Master 2004 an der John F. Kennedy School of Government der Harvard University. Danach arbeitete er bei der Weltbank. Die Begründung der EU für Sanktionen gegen Syrien war seinerzeit u. a. der übergroße Einfluss der Familie des Präsidenten Baschar al-Assad auf die Wirtschaft seines Landes. Die EU weigerte sich jedoch bis heute standhaft, den Elefant im Wohnzimmer der Türkei auch nur wahrzunehmen. Vorwürfe gegen das mutmaßlich korrupte »Familienunternehmen« Erdoğan gibt es schon seit geraumer Zeit, und sie werden in der Türkei kontrovers diskutiert. Der wahre Grund für die besondere Toleranz der USA dem Islamischen Staat gegenüber war neben einer gemeinsamen Interessenlage der Verbündete Türkei! Ihn wollten die USA bei Laune halten, da die Incirlik-Airbase bekanntlich in der Türkei liegt. Incirlik ist ein entscheidendes Drehkreuz für die US-Luftwaffe zur Versorgung ihrer Truppen im Irak und in Afghanistan. Auf dem Luftwaffenstützpunkt lagern auch 90 Atomwaffen vom Typ B61. »… Unsere Verbündeten in der Region waren unser größtes Problem in Syrien. Die Türken waren großartige Freunde, und ich habe eine großartige Beziehung zu Erdoğan. Ich habe viel Zeit mit ihm verbracht, die Saudis, die Emirate etc. Was haben sie gemacht? Sie waren so entschlossen Assad abzusetzen, und im Prinzip einen sunnitisch-schiitischen Stellvertreter-Krieg zu haben [grinst breit] – was machten sie?Sie pumpten Hunderte Millionen Dollar und Zehntausende Tonnen an Waffen in jeden, der gegen Assad kämpfte. Aber die Leute, die man ausrüstete, waren Al-Nusra und al-Qaida und die extremistischen Elemente von Dschihadisten, die aus anderen Teilen der Welt kamen. So weit, so lächerlich. An der Harvard University (!) kann man sich als amerikanischer Vizepräsident offensichtlich ohne Weiteres hinstellen und, sorry, Schwachsinn erzählen. Biden tischt Lügen auf: Niemand hat sich besonnen, sondern vor allem die zunehmende Berichterstattung über das hässliche Terror-Geschäftsmodell drängte die Verbündeten immer mehr in die Defensive und in Erklärungsnot. Interessant ist, dass Katar laut Biden durchaus weiter den Terror finanziert. Und Saudi-Arabien Ausbildungen auf seinem Territorium gestattet, jedoch, wie es offiziell im Pentagon dazu heißt, werden saudische Truppen von US-Instrukteuren ausgebildet. »Also diese Idee, dass es da eine Option gab, ist Fiktion, sie existierte nicht. Wir hätten, wenn wir irgendeinen Moderaten gefunden hätten, reinpumpen können – und übrigens, jetzt ist es ja öffenlich, wir haben moderate Kräfte trainiert, aber wir haben sie genau ausgesucht, um sicherzustellene, wer sie waren, und nun ist die Anzahl geheim, aber es gibt jetzt mehrere Tausend im Land, und es wir danach mehr geben. Biden gibt zu, das die USA einige Tausend Anti-Assad-Milizen ausbildeten, angeblich »moderate«, in Wirklichkeit mutierten sie zum IS, der gut bezahlt, wenn man dort Kämpfer wird. Besonders Bidens letzte Bemerkungen sind in einem Ausmaß lächerlich, dass es schon tolldreist ist: Als ob die Türkei und die Golfmonarchien ihr eigenes »Kind« Islamischer Staat, falsch eingeschätzt hätten! Ganz zu schweigen von der stets absolut realistischen Einschätzung Russlands. Sie wollten ein Monster, um in Syrien schalten und walten zu können. Großosmanische Machtträume und lang gehegte Vorhaben zu Ziehung neuer Grenzen im Mittleren Osten durch die USA ergänzen sich. Doch da sich Assad und die syrische Armee als zäher erwiesen als erwartet, musste das Monster IS immer monströser werden, um endlich eine Gelegenheit zu Luftschlägen und/oder zum Entsenden von Bodentruppen nach Syrien konstruieren zu können. Der Rückstoß für Biden nach dieser recht offenen Plauderei in Harvard ließ nicht lange auf sich warten. Die US-Verbündeten bei der Finanzierungs des IS verlangten ob der Enthüllungen empört eine Entschuldigung vom amerikanischen Vizepräsidenten. Ein wutschnaubender Erdoğan ließ ausrichten, Biden habe sich zu entschuldigen oder er sei für ihn »Geschichte«: Biden entschuldigte sich auch prompt bei den Vereinigten Arabischen Emiraten und der Türkei für seine Behauptung, sie hätten bei der Stärkung des IS geholfen. Hohn pur! Allen Tätern bei der Erschaffung des Monsters IS ist eigen, dass sie sich als die wahren Opfer hinstellen und ihnen das von den Medien auch noch abgekauft wird. Oder von Angela Merkel: Sie dankte der Türkei wiederholt für die Aufnahme von rund 1,8 Millionen syrischen Flüchtlingen, obwohl die Türkei maßgeblich daran mitgewirkt hat, deren Heimat zu zerstören. Bei ihrem jüngsten Besuch bei Präsident Erdoğan in Ankara kurz vor dessen Wiederwahl stellte Merkel gar die Wiederaufnahme der EU-Beitrittsverhandlungen und Miliardenzahlungen in Aussicht! Ein surrealistisch anmutendes Signal! Wie man die Türkei einschätzen muss, zeigt der jüngste Abschuss des russischen Kampfflugzeugs SU-24 über dem syrischen Luftraum: Die Türkei steht fest an der Seite des IS und will sich ihr Geschäftsmodell des lukrativen illegalen Ölhandels offensichtlich von Russland nicht verderben lassen. Diese Politik der Türkei gehört dringend eingedämmt, die jetzige taumelnde deutsche Regierung wird diese Arbeit nicht leisten können. Mit Putins Hinweis auf 40 Nationen, aus denen der IS unterstützt wird, können wir eine Liste erstellen. Auf dieser Liste kann man ein Häkchen setzen hinter die USA, die EU-Kommission, einige EU-Staaten (welche sich die EU-Kommission weigert aufzuklären), die Türkei, Saudi-Arabien, Katar und die Vereinigten Arabischen Emirate. Weitere Informationsbomben sollten hochwillkommen sein und sind absolut nötig, um den IS zu entschleiern und um über eine informierte Öffentlichkeit Druck auf die wahren Verursacher von Leid und Chaos ausüben zu können.